Richard was always fond of science subjects and drama at school. Influenced by his father who was humbly awed by anyone who went to university, Dr Richard did indeed study hard and ended up working with dentistry tools. Further encouraged by his long-term family dentist, Dr Richard was soon crossing the Pennine Hills to go to Leeds Medical and Dental School, qualifying in 1990 after five years of study. 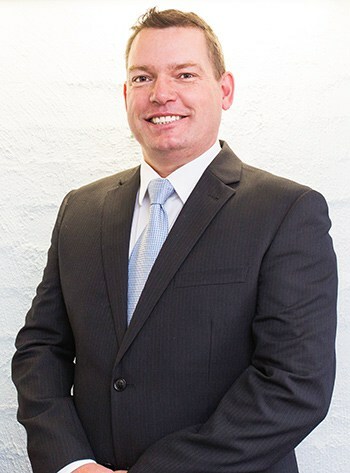 Dr Richard greatly enjoys being in practice in Australia and providing the highest quality of dentistry while taking his time with each patient. He was an inaugural member of the Australian Osseointegration Society, serving on the state committee and becoming treasurer. He’s also been treasurer on the federal level, helping to organise the biennial national conference on implants held in Perth a few years ago. He’s been a member of the Australian Society of Endodontology and is in the Australian Dental Association. Continuing to learn is important to Dr Richard, and he completes well over the required course hours for dentists each year. He attends a study club and goes to other conferences on a variety of subjects he feels can be beneficial for his patients, such as restorative dentistry, endodontology and more. Dr Richard and his Australian wife have two children. He’s completed the Avon Descent™ whitewater race several times and used to enjoy playing squash and running regularly. Now, his main interests are spending time with his family, golfing, socialising and going to the beach. He takes walks and runs occasionally. Insurance is accepted at our practice. Book your time with our knowledgeable team today! At Aardent Dental Centre, we pride ourselves on providing excellent dental care that’s tailored to each individual’s wants and needs.